May is a fantastic month in the Edible Garden. 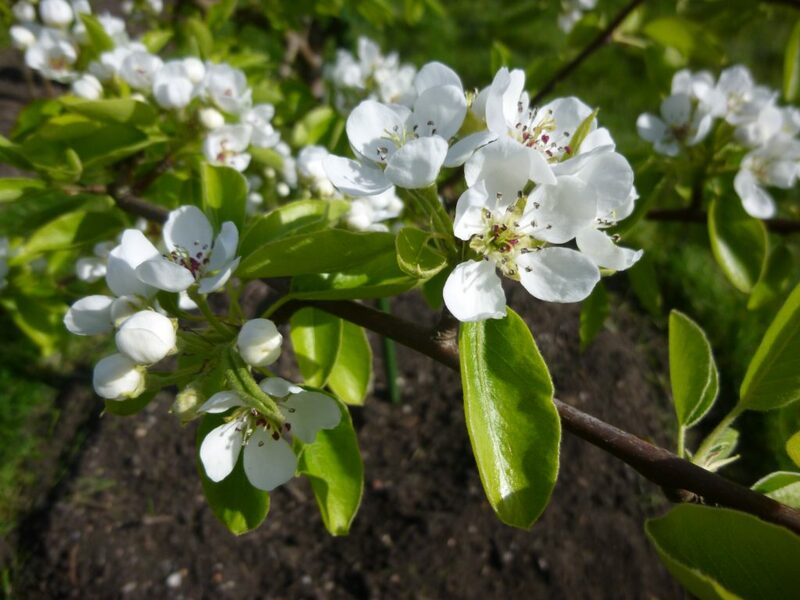 It is very exciting to see fresh green growth, fruit blossom and lots of seedlings emerging from the soil. However it is a busy time of the year and there are a lot of tasks to do in the garden such as watering, weeding and sowing. Most hardy crops can be sown outside now. This includes beetroot, broccoli, cabbage, carrots, cauliflowers, kale, peas, turnips, lettuce, rocket, radish, spinach, spring onion. 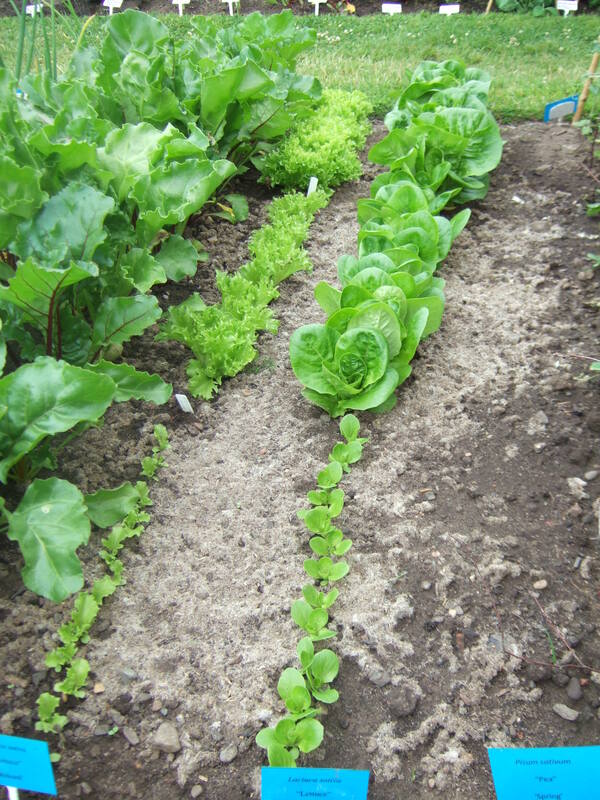 Succession sowing: Lettuce sown in 3 batches at 3 week intervals. Salad leaves and radishes grow very quickly and do not store for long when they are ready. To avoid gluts and provide a regular supply through the season it is a good idea to sow small batches of seed every few weeks. This is known as succession sowing (see picture). In early May, tender crops such as French beans, runner beans and courgettes can be sown in pots in greenhouse, polytunnel, cold frame or windowsill. They will need to be hardened off (gradually acclimatised to outdoor conditions) before they are transplanted into the garden at the beginning of June when the risk of frosts is minimal. Towards the end of the month it is possible to sow tender crops outside. If your garden is prone to late frosts it is worth constructing a cloche to protect young plants. The young shoots of potato plants are very susceptible to frost damage. Protect them by ‘earthing up’ the soil around the stems. When vegetable seedlings have grown a few leaves it is time to thin them out so they have enough space to grow to their full potential. The recommended spacing for each crop can usually be found on the seed packet or in a vegetable growing book. Select the largest, healthiest seedlings to keep. Gently remove the unwanted plants. 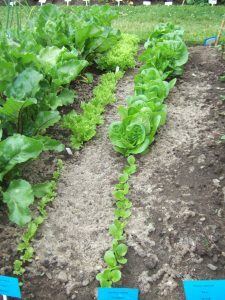 To avoid disturbing the remaining plants small seedlings such as carrots and lettuces can be snipped off at ground level using scissors. Water the plants after thinning to re-settle the soil around the roots. Birds can be a problem in the fruit garden eating buds, flowers and fruit. If possible it is good to net fruit bushes and trees to protect them. 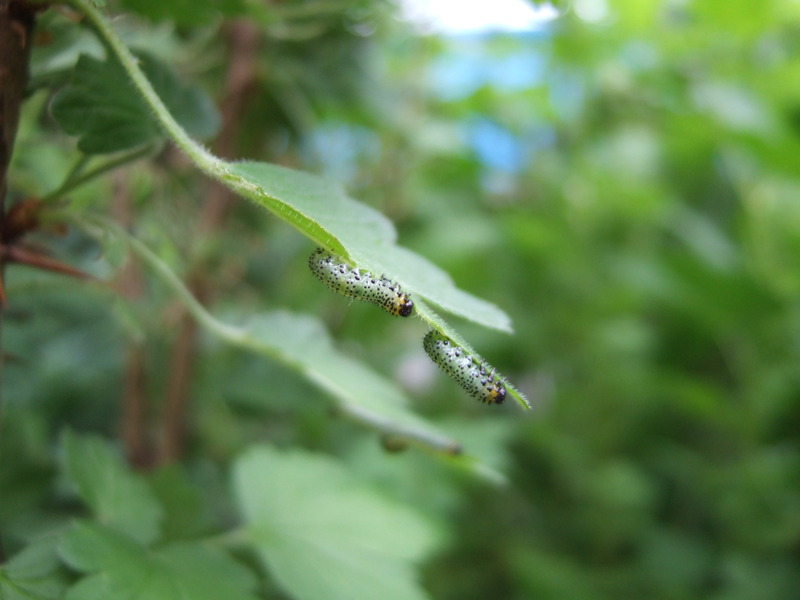 Inspect gooseberry bushes regularly for signs of sawfly larvae that can quickly defoliate the plants. If you spot them remove them quickly.